Gill is the Founding Principal of Bold Park Community School. Gill has had many roles in her adult life, from a social trainer for people with special rights, student, bank worker, pool supervisor, kindergarten director, educational toy supply company founder (Trover Learning) and mother of six but Bold Park Community School, and her family, have been her passion since 1994. She is an advocate for the rights of children and families to choose an education based on the strengths and values of each child, each family, each community. Bold Park Community School set out to provide such a choice in the Western Australian educational landscape. Her goal was to develop a respectful learning environment that kept the ‘light alive in children’s eyes’ – a community that was respectful, caring and saw to the development of the whole child. In 2005 she led the establishment of the REmida Creative Reuse Centre in Perth. 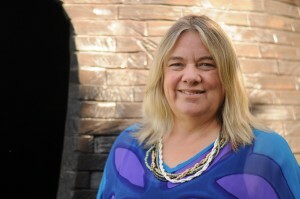 She has served as an Oceania Representative on the World Forum for Early Childhood Care and the Education Nature Action Collaborative for Children, as well as being part of the World Forum Advisory Group since 2007. Gill says she has been privileged to engage in the journey of Bold Park Community School and to get to know the students, staff and families that share her passion. “Stand aside for a while and leave room for learning, observe carefully what children do, and then, if you have understood well, perhaps teaching will be different from before.